The actress-now-turned singer has released another single 'Jeje' produced by Jospo. Just less than a month ago, Dikeh released her first music video for her single 'Itz Ova'. 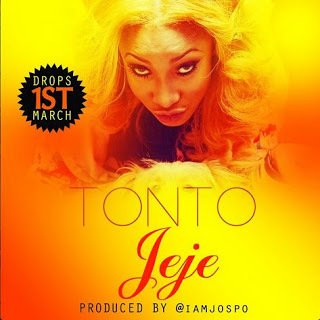 Tonto brings a new and different sound to the music industry in Nigeria... I actually look forward to seeing what else she has up her sleeve - musically.